By not encouraging Russia to become a member, the West missed an excellent opportunity to strengthen Russia’s nascent democracy. An acceptance, or at least a positive response, would have given an initial boost to Yeltsin’s pro-Western foreign policies, a much-needed new identity to the floundering Russian military, and would have effectively countered Yeltsin’s nationalist and Communist critics. Felkay maintains that “despite NATO’s reluctance to embrace Yeltsin’s Russia, the Yeltsin-Kozyrev team pushed on toward integrating Russia with the rest of Europe and building a friendly relationship with the United States.” Yeltsin realized that he had to make the post-Soviet political and economic transformations attractive to the American decision-makers, and especially President Clinton, because Russia’s integration into the rest of the developed world was of foremost importance. I think it is obvious that NATO expansion does not have any connection to the modernization of the alliance itself or to ensuring the security in Europe. On the contrary, it represents a serious provocation that reduces the level of mutual trust. And we have the right to ask: who is the target of this expansion? And what happened to the assurances that our western partners had made after the dissolution of the Warsaw Pact? the objective of the year is to shift the emphasis from accelerating the expansion of NATO to nurturing the bilateral partnership. This will determine the dynamics of the Russia-NATO cooperative framework. Another strategic priority is to establish a European-wide system of genuine mutually beneficial relationships based on friendship with the countries of Central, Eastern and South-Eastern Europe. To achieve that, political dialogue must be intensified, economic and cultural links must be enhanced. Historical friends and partners of Russia must play a more important role in our foreign policy and diplomacy. In his 1997 speech, Yeltsin reiterated his opposition to the NATO expansion plans by stating that “they aim to contradict the Russian security interests and are conducive to fracturing the European political space. The significance of existing European-wide political organizations will diminish. Never before has anyone been able to create an effective security system in Europe without Russia or against it.” He further proposed to increase the dialogue in an effort to ease tensions. This year Russia’s diplomacy sought to implement those foreign policy objectives outlined in the previous addresses, namely, to create favorable external conditions for the continuation of domestic reforms, for building and maintaining genuinely equal relationships with the leading countries of the world, corresponding to the status and potential of Russia. Our aim is to defend our national interests not by resorting to confrontation, but by building the foundation for future stability and cooperation in international relations. Russian foreign policy is aimed to construct the system of international relations based on the multipolar peace, devoid of the dominance by a single center of force. The agreed-upon financial aid package did not eliminate, but helped to tone down Russian criticism of NATO’s eastward expansion during Yeltsin’s rule. The American assurances given on the ABM Treaty also helped. The signing of the Comprehensive Nuclear Test Ban Treaty and the promise of advancing the ratification of the Chemical Weapons Convention were gestures of ongoing cooperation between the two nations, despite their disagreement on NATO expansion. The American side had made another concession to appease Yeltsin, by announcing that the United States would support Russia’s full participation in future meetings of the Group of Seven (G-7). In contrast to Yeltsin’s diplomacy and his manifested willingness to cooperate despite the unilateral engagement of NATO in Kosovo, Vladimir Putin pursued a consistent and strictly pro-Russian policy course on matters related to global security and peace. 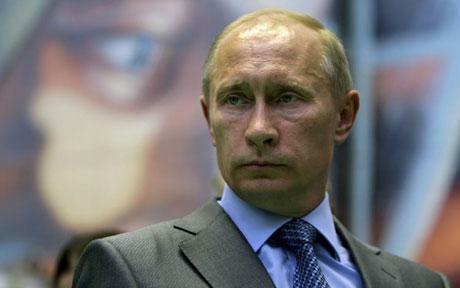 Putin is more cautious about the NATO expansion plans. The recent military conflict between the pro-American Georgia and Russia exacerbated the tense relations between US and Russia. For the US, Georgia is a geo-strategic partner and an ally waiting for the membership in NATO and in the European Union, which represents a salient opportunity to implement the NATO eastern expansion objective. However, western leaders are reluctant to aggravate tensions with Russia by acceding Georgia into NATO, which demonstrates that maintaining peaceful and cooperative relations with Russia is more important for them than expanding the NATO presence eastward. Nevertheless, that does not diminish Russia’s concern about the threat posed by the military bloc. The case of Kosovo quite vividly demonstrates that the shift in the Russian foreign policy was manifested not only in the statements made by the presidents, but also in the policy actions of the Russian government. The conflict in Georgia in 2008 over the two annexed republics of Abkhazia and South Ossetia, when the invasion by the Russian military forces was justified as being in line with the actions of the West in Kosovo and the US-backed declaration of independence of the breakaway region is illustrative of the Putin administration’s neglect of international legal norms and of the commitment to use military force in advancing the new national idea. In Yeltsin’s era, however, there was a tendency to defer the making of difficult decisions. Moscow was prone or at least attempted to ignore problems related to Yugoslavia in an effort to postpone a decision on how to respond to Milosevic and his barbaric actions in Yugoslavia. As a result of such policy, it appeared that Moscow approved the Western policy in the Balkans. Yeltsin was compelled to invent a new type of relationship with the US seeking greater economic support and a solution to the accumulating domestic political pressure in light of the painstaking transition process. At that time, the US was the sole superpower and as many people in the Russian elites asserted – a major source of donor aid. In that context, Yeltsin had no choice, but to place a primary emphasis on strengthening US-Russian relations. However, his consistent health problems, inability to control the domestic processes, the peculiarity of his personality, and at times, lack of assertiveness also created additional impediments to forming a solid foreign policy course.